In this my first project, I want to make 2 virtual machines that simulate non-existent hardware, like the mac address of the network card, also an operative system, or something else. I understand that the first step I believe is to create a virtual operating system. why supported partially, where I do wrong!? I want to make 2 virtual machines that simulate non-existent hardware, like the mac address of the network card, also an operative system, or something else. For this case, where you want a complete operating system instance, you can use Hyper-V to create the virtual machine. Yes Viir , thanks for the indication, but I have a problem: changing the OS from Win7 (which I know) to win 10 is for me to add an extra difficulty. 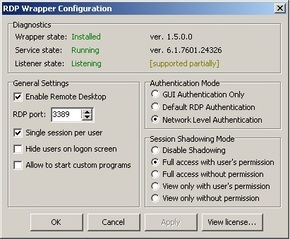 from my knowledge, rdp is not virtual, is open the (n) user on same SO. so You have to create this users. On the other hand, Hyper V , from reviews, it seems best solution. In my opinion, is better to change to win10, learn a lot about sanderling(Even after 1 year of boting, i still discover new things and I play on him almost daily) with an alpha chars and in meantime, you discover hyper /sandbox. I do not have api, how I can load? Find solution to the api-ms-win-crt-runtime-l1-1-0.dll missing error. Try to reinstall a new Visual C++ Redistributable for Visual Studio 2015.
also look on sanderling git: . the application requires Microsoft .NET Framework 4.6.1 which can be downloaded from https://www.microsoft.com/download/details.aspx?id=49982. Thx a lot, just resolved it. Now i have another issue: what information can the CCP “stole” by my machine, eccept the IP Address, what must I change on virtual machine for to run 3 clients? and if you are not running industry VM which have “physical” hardware, you’ll be detected in no time because of your virtual graphic card -> which is not allowed to have. are there any special tricks to run Sandeling on LInux? Or it is as simple as I could see on windows, I ask you this question because at the moment I do not have linux machines on which to try. I do not understand you, are you suggesting me to connect via RDP to other PCs elsewhere? 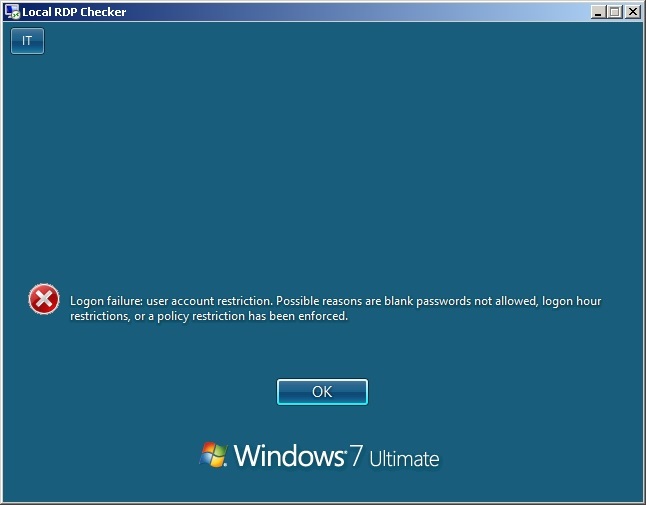 Or do I miss a configuration of my PC with RDP? rdpwrapper it let you connect at the second or (n) user on same computer. I give up, I can not, if there is a step by step guide, from the creation of a virtual machine, to Sanderling, well I’ll try again. Otherwise nothing to do. if I undestand well, windows sandbox is a feature present in a Insider Preview build version of Windows 10. I have find many version on Microsoft site, what is better for our project? I’m asking becaure I unable to install “Windows_InsiderPreview_SDK_en-us_18342.iso” on a virtual machine. sandbox, as by name is something which will be always started as fresh install of the windows, so you’ll be always forced to install and configure eve+sanderling again. 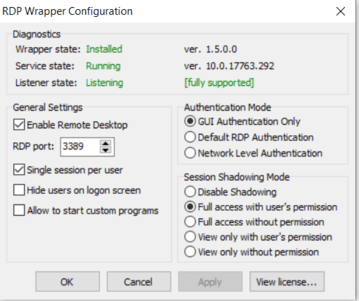 let me understand: rdwrapper is a program to control other pc remotely, how do you use it to run more alpha-clone-eve-clients on the same machine? install rdpwrapper, who let you connect at the second used in remote desktop on the same machine. absolutely bad idea to run 2 alpha accounts from one pc using rdwrapper, stop now. if you use rdwrapper ALWAYS use Omega account only, period. I do not recommend to mess with alphaclones at all to be absolutely precise, as they are way up to the radar. absolutely bad idea to run 2 alpha accounts from one pc using rdpwrapper, stop now. It’s wierd, on my computer, with rdwrapper I can’t run a alpha account if anything (alpha or omega) else is running.